The lights are out—and so are the impy house mice—in this delightful nighttime cat-and-mouse adventure. Could it be true that mice are…nice? That’s certainly what the cat thinks in this after-dark romp just perfect for young children. Featuring whimsical, comforting text and vibrant collage illustrations from Caldecott Honor medalist Lois Ehlert, this engaging story puts a fresh spin on the classic cat-and-mouse dynamic. Rose Fyleman (1877-1957) was a prolific English writer of fiction, poetry, and plays for children, as well as a singer, singing instructor, and schoolteacher. “This fresh interpretation of a classic poem is a charmer. “Children will be delighted by…Lois Ehlert's vibrant collages…. 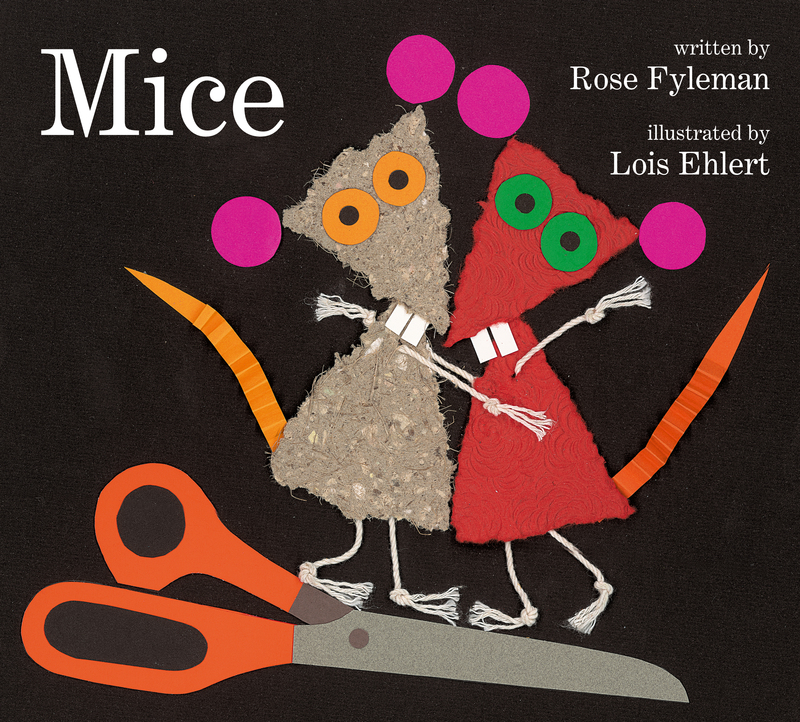 Rose Fyleman's rhyme can be appreciated as a read-aloud by toddlers, yet fun enough for emerging readers and parents. It's easy to imagine young readers asking for this one on a regular basis--though adding it to your shelves may make it hard to convince them that the kitchen needs a mousetrap.